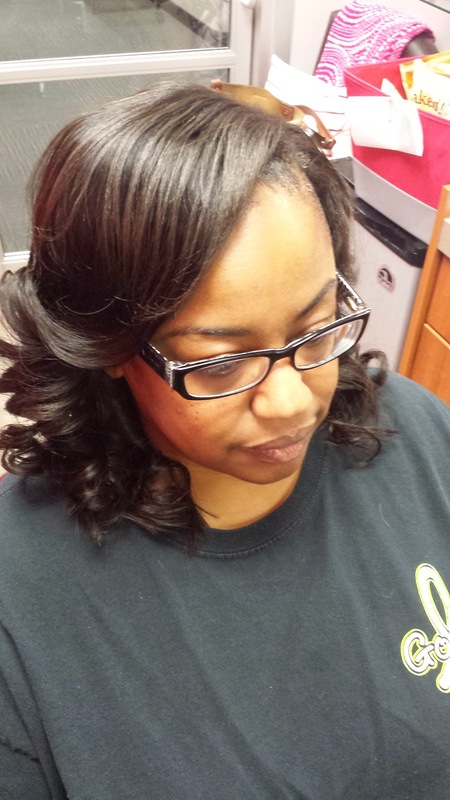 Sew-ins have come a long way since I first started doing them . 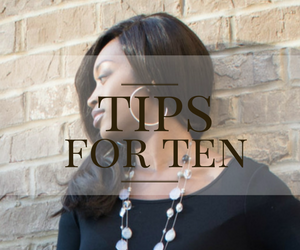 When I was first taught how to do a sew in, pulling it up in a ponytail was not an option unless the ponytail was really low. Nowadays, you can pull it up in a high bun, high ponytail, and even put it in two ponytail all while being undetected. 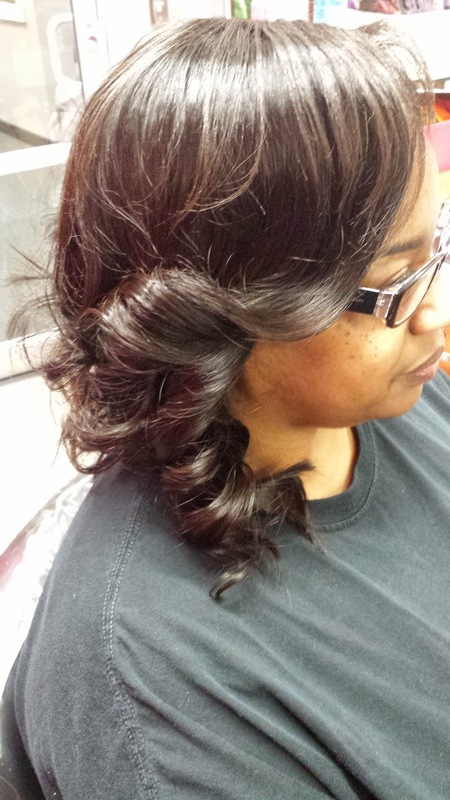 That is one thing about the hair industry, you are constantly learning and evolving. It is never advisable to get comfortable because things are always changing. 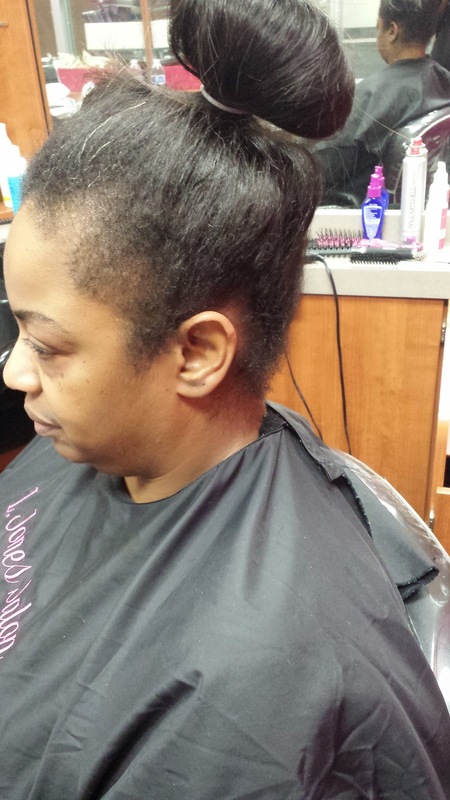 This client wanted to get a sew in for the first time. 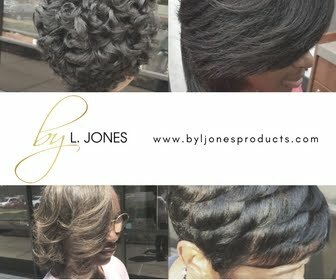 She used hair from my collection, www.ljoneshaircollection.com, and she absolutely loved her results. The pictures above show how she can pull it up in a ponytail. 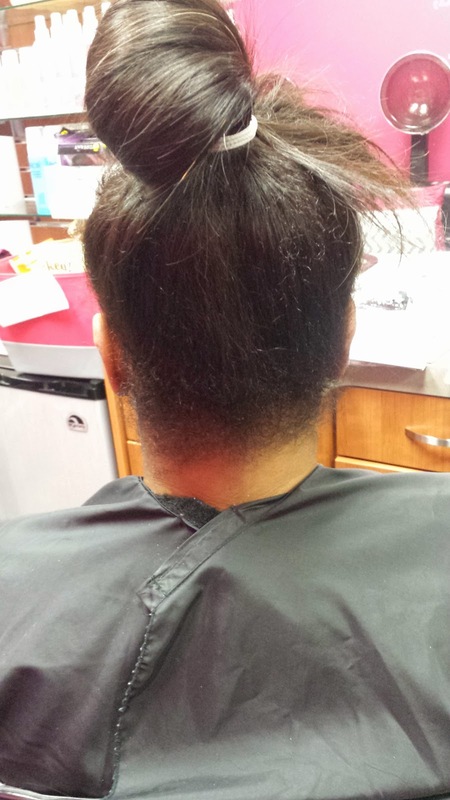 The ponytail pics were taken before any heat was put on the hair. Even as messy as the ponytail is, the tracks are still undetectable. 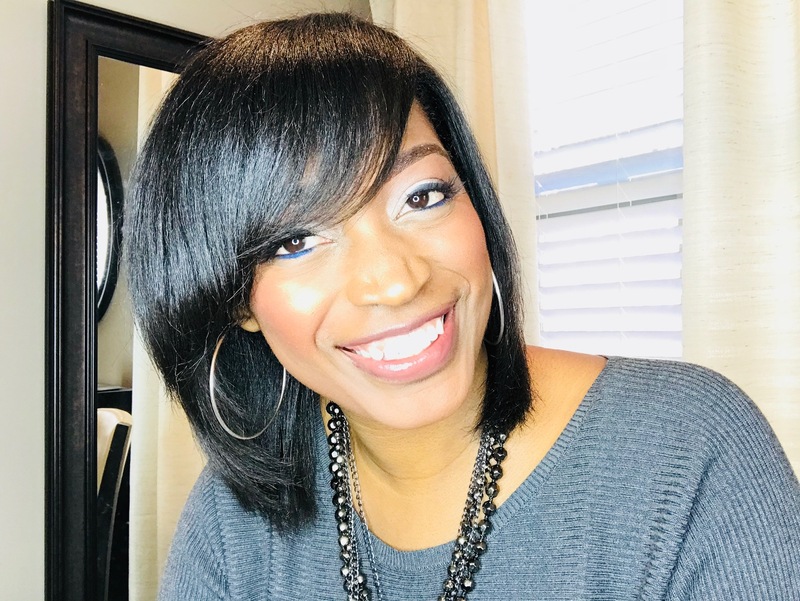 This way, if she works out or just does not feel like wearing it down, she can pull it up as high as she wants without anyone knowing that she has weave in her hair. These are the pictures taken after I curled it. I curled it tight then brushed the curls out to give it a messy/ relaxed, but still neat look. She can wrap this or put rollers in it. 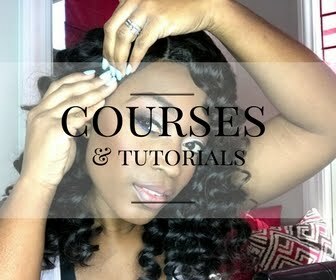 This hair holds curls very well so even if she only puts her satin bonnet on her hair the curls will still last. 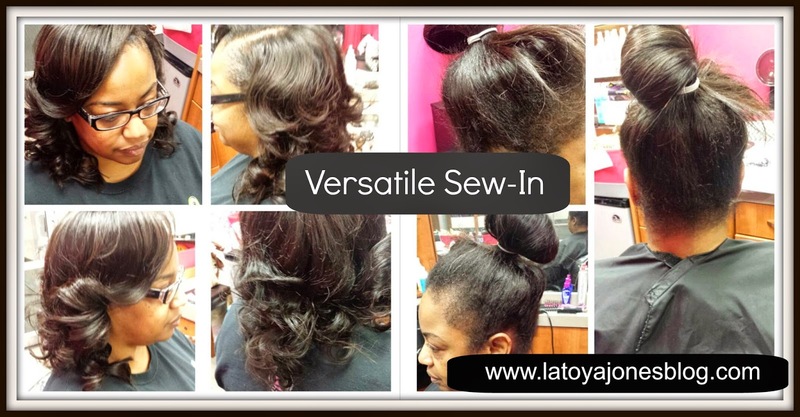 Sew ins are highly addictive and one reason for that is because they are so low maintenance. That is why you will see women that have long pretty hair still wearing them. They are much easier to deal with than your real hair. 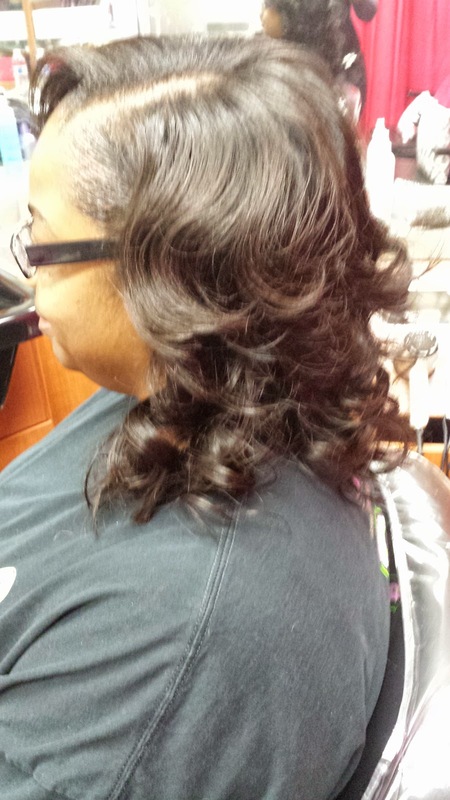 She can shampoo this hair with Silk Hydration products and enjoy her sew in for up to three months. Although it will last longer I do not recommend it because the hair needs to be taken down and given a thorough shampoo and conditioning at that point. 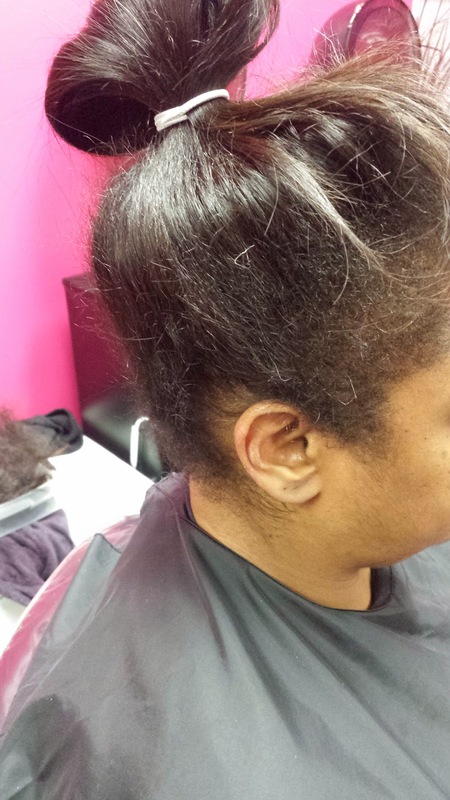 When she does take it down however, she can reuse the hair for her next sew in. 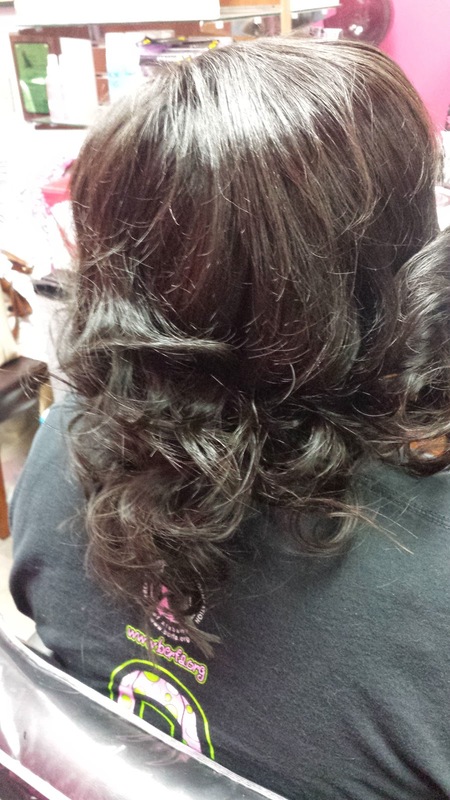 She was very happy with her new look and will be coming back to have it shampooed and styled by me.